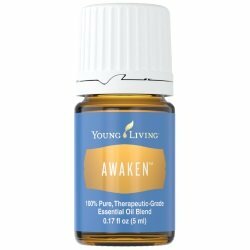 Awaken Essential Oil is a beautiful blend that helps us spiritual awaken to our potential. It will support us in making the necessary personal changes that are required for us to manifest our dreams and goals. Use Awaken to enhance meditation, visualization or manifestation of your goals so you can open up to your true authentic self. It also helps to release negative memories. Awaken will help stimulate the creativity and intuitive side of the right brain. So, if you are always stuck in the left logical side of your brain and you want to increase your spiritual awareness, then Awaken Essential Oil will be great oil for you! This is a fun and easy reference guide for Awaken Essential Oil Blend. It will tell you how to use your oil blend and what to use it for. It will also provide you with some fun tips and testimonials! Want to Purchase Therapeutic Awaken Essential Oil? Go to the Oil Shop! Buy Awaken Essential Oil Here! What is in Awaken Essential Oil Blend? There are five therapeutic grade blends in Awaken. They are listed below along with a brief description of each oil. Joy Essential Oil brings joy to the heart. It promotes emotions of love and self love and self worth. Present Time Essential Oil keeps us in the moment and helps us to release the past. Forgiveness Essential Oil helps us release, forgive and forget negative experiences of the past. Dream Catcher Essential Oil opens the mind and enhances the dream state. Helps to visualize dreams and goals and release negativity. Harmony Essential Oil creates emotional balance in the body and with those around us. It reduces stress and brings equilibrium. What are the Documented Uses for Awaken Essential Oil? Aftershave, aura, balance, relieve boredom, closed minded, confusion, day dreaming, dying, emotional transformation, energizing, fear, overcoming mental fatigue, guilt, obsessiveness, potential, self adjustment, spiritual, sympathy, transition in life, third eye, visualization and wholeness. What is the Spiritual Influence? This oil helps us connect inter-dimensionally and expand our consciousness. It will help release negative emotions of hopelessness, stuck of humiliation; and bring in the support necessary for us to transition into a better place. Whatever you want to awaken to in your life or business, set the intention and use this oil to help you see what needs to be transformed or awakened for you to become that. Want to discover more of yourself? Consider speaking to Nan about how she can help you step into the power of your true authentic self. What Chakra is Affected? Opens the throat and third eye chakras. Can this oil be used for Animals? Yes, horses just love to smell this oil! What are the Safety Precautions? Awaken essential oil does not have any known contraindications. However, this oil is photosensitive; direct exposure to sunlight within 24 hours after use could cause dermatitis. Go to the Oil Shop! Buy Awaken Oil Here! Apply Awaken to the temples and En-R-Gee to the feet to feel energized and balanced.